Ministry of Islamic Affairs has inaugurated the first mosque to be air-conditioned with renewable energy. The mosque, in Dharanboodhoo in Faafu Atoll, was officially inaugurated by the Minister of Islamic Affairs Dr. Ahmed Zahir. 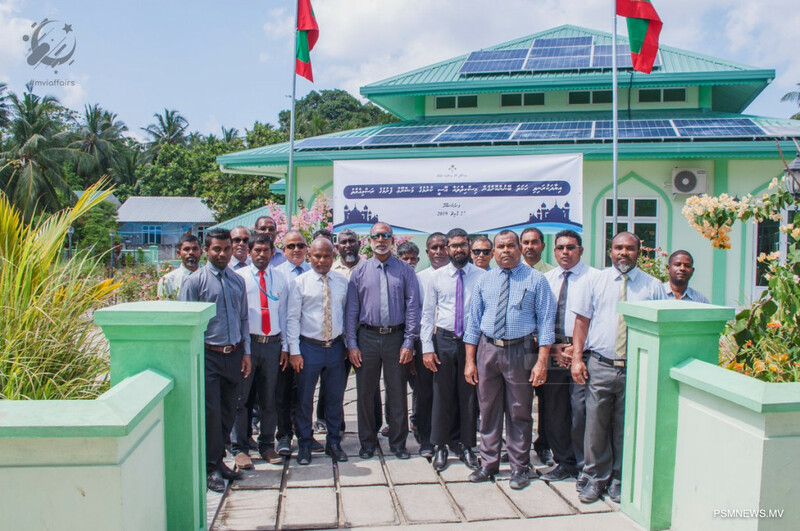 Addressing the inaugural ceremony, Minister Zahir said work on air-conditioning mosques with renewable energy is being carried out after extensive research and surveying. He said the government aims to increase Islamic unity among Maldivians. As part of the project, focus would be given to mosques that have not been air-conditioned and mosques which house the largest number of people. In this regard, 25 mosques are to be air-conditioned with renewable energy under the project. Air-conditioning mosques with renewable energy is included in the first 100-day pledge policy of the administration.